Microalgae cultivation has gained much interest in terms of the production of foods, biofuels, and bioactive compounds and offers a great potential option for cleaning the environment through CO2 sequestration and wastewater treatment. Although open pond cultivation is most affordable option, there tends to be insufficient control on growth conditions and the risk of contamination. In contrast, while providing minimal risk of contamination, closed photobioreactors offer better control on culture conditions, such as: CO2 supply, water supply, optimal temperatures, efficient exposure to light, culture density, pH levels, and mixing rates. For a large scale production of biomass, efficient photobioreactors are required. 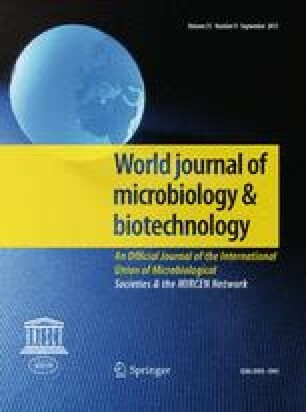 This review paper describes general design considerations pertaining to photobioreactor systems, in order to cultivate microalgae for biomass production. It also discusses the current challenges in designing of photobioreactors for the production of low-cost biomass. The authors acknowledge the financial support provided to them by the National Research Foundation (NRF) of Korea, a Grant funded by Korean Government (MEST) (2012R1A2A4A01001539), and the Ministry of Education, Science and Technology (2013006899).